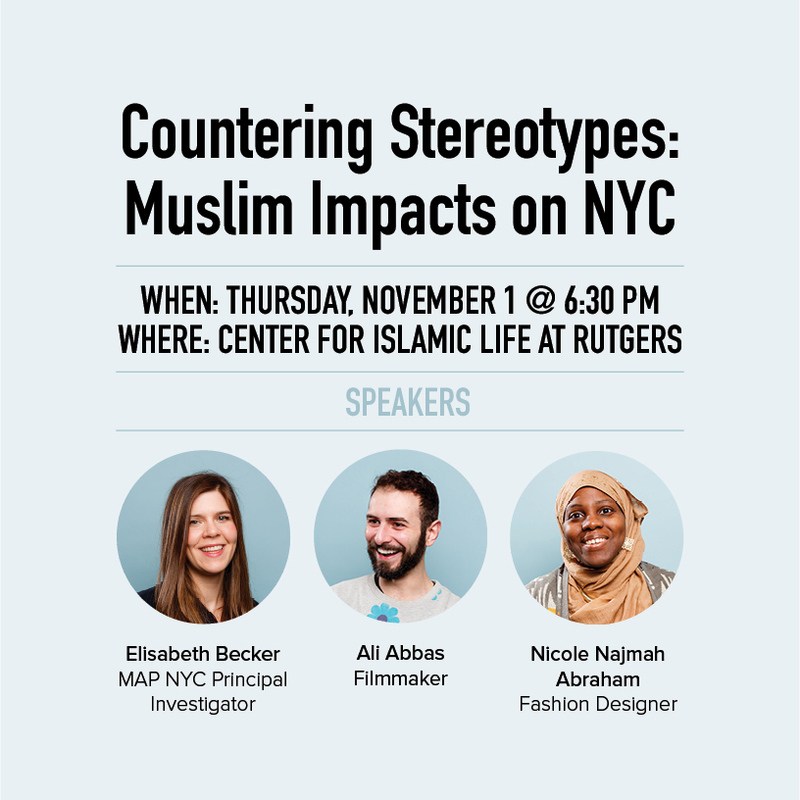 ISPU’s newest data from our Muslims for American Progress project will be showcased at Rutgers’ Center for Islamic Life by Elisabeth Becker (MAP NYC Principal Investigator). MAP NYC participants Ali Abbas and Najmah Abraham will speak during the event, and MAP NYC portraits and narratives will be showcased all day on the CILRU plaza. Refreshments will be served.